St. Croix's two-piece Jig-N-Rig rod is highly versatile and collapses down for easy transport. St. Croix&apos;s two-piece Jig-N-Rig rod is highly versatile and collapses down for easy transport. Fuji IPS reel seat/black hood. Premium-grade cork on trolling models. Premium, mid-modulus graphite fiber with a higher strain rate than fibers commonly used by other rod manufacturers. 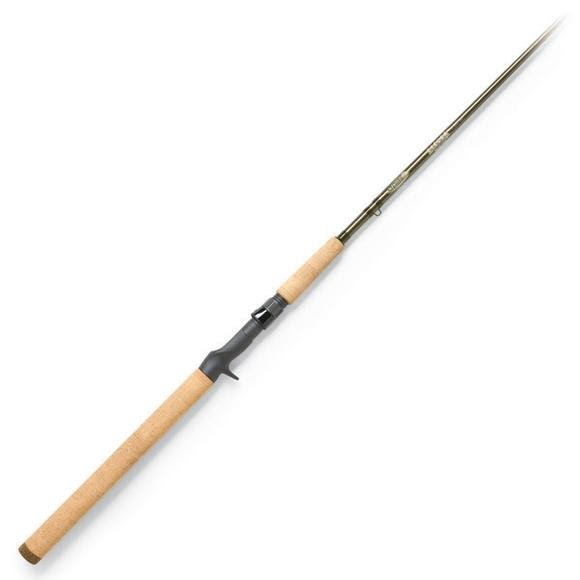 This is St. Croix&apos;s most popular material that produces rods that are highly sensitive, lightweight and durable. It&apos;s an outstanding choice for anglers who appreciate high performance without high cost.